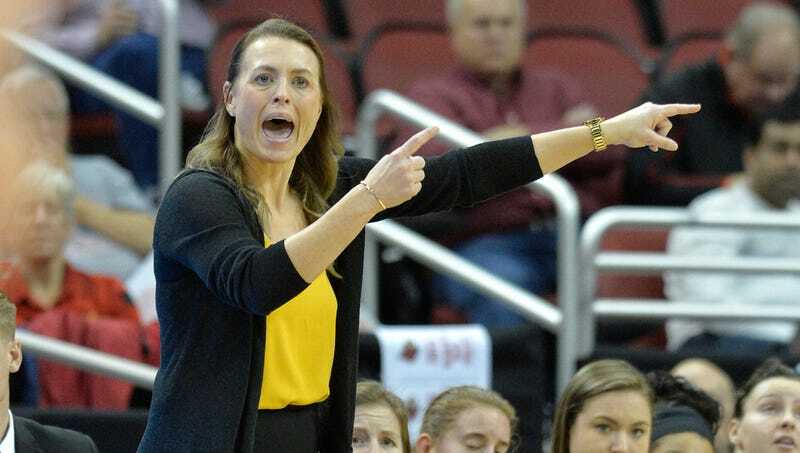 On March 25, graduating senior Taryn Taugher of the Northern Kentucky Norse women’s basketball team wrote a lengthy article in The Odyssey claiming that she was repeatedly verbally abused by head coach Camryn Whitaker. Several other former players have since come forward and alleged that Whitaker berated players, broke down their self-confidence, and isolated them from teammates in order to make examples out of those who didn’t follow her orders. I would not wish my experience on anyone. I now understand why college athletes commit suicide. Between the anxiety and lack of sleep and appetite from the constant attacks on my character and family, I felt like I couldn’t take it anymore. Thankfully, with the support of my family and teammates, I am in a better place and I am free. I am free from her oppression. I am free from the horrible thoughts she made me believe about myself. I am free from the fear and anxiety. Northern Kentucky was one of the most successful Division II programs in the nation, winning a pair of national titles before moving up to Division I in 2012. The Norse had winning records through their first four years at the top level of college basketball, but the team has gone 29-62 since Whitaker arrived in 2016. Eight players have either quit or transferred since Whitaker took over, while two assistant coaches have also left. After the letter was published, though, the Cincinnati Enquirer spoke to two other players and one player’s father, all of whom made similar allegations against Whitaker. Shar’Rae Davis played her final season for the Norse during Whitaker’s first year as coach, and she claimed Whitaker picked on Davis’s ulcerative colitis and “pitted the team against her and used her medical condition as punishment for her and her teammates.” Davis said she was punished by getting benched when she had to miss occasional practices to deal with her condition. Once, she had to run to the bathroom during practice and Whitaker allegedly forced the rest of the team to run sprints until Davis came back. Another player, Kasey Uetrecht, lodged a formal Title IX complaint after she abruptly left the team during a road trip, the same trip where Davis was forced to bunk without any of her teammates. Whitaker found out that someone made a Title IX complaint in Dec. 2018, telling the team, “I don’t know who’s trying to ruin my life… but I want to let you know that I am invincible and I am not going anywhere. I am your coach. I signed a contract and I’m not going anywhere.” None of the eight players who wrote the letter of support for Whitaker responded to the Enquirer’s requests for comment; the school announced it would conduct an independent investigation of the women’s basketball team.